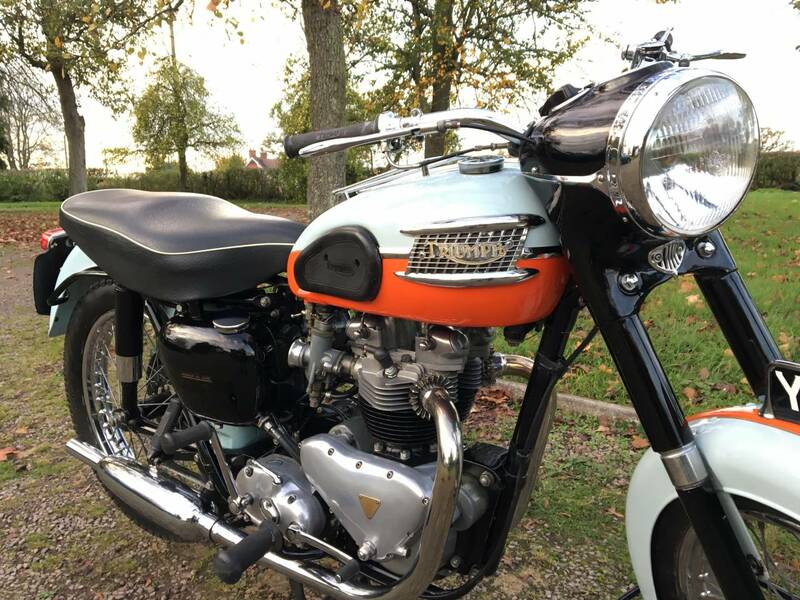 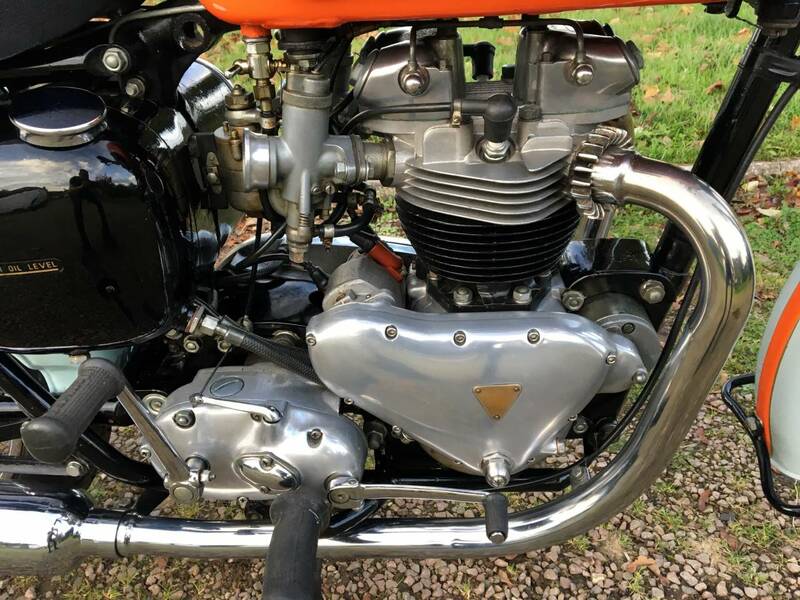 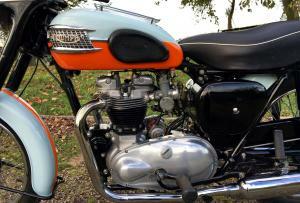 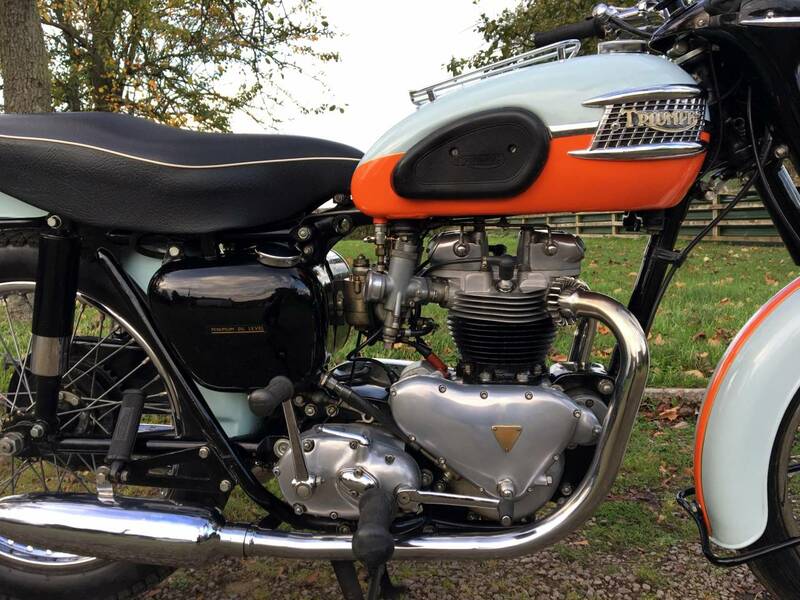 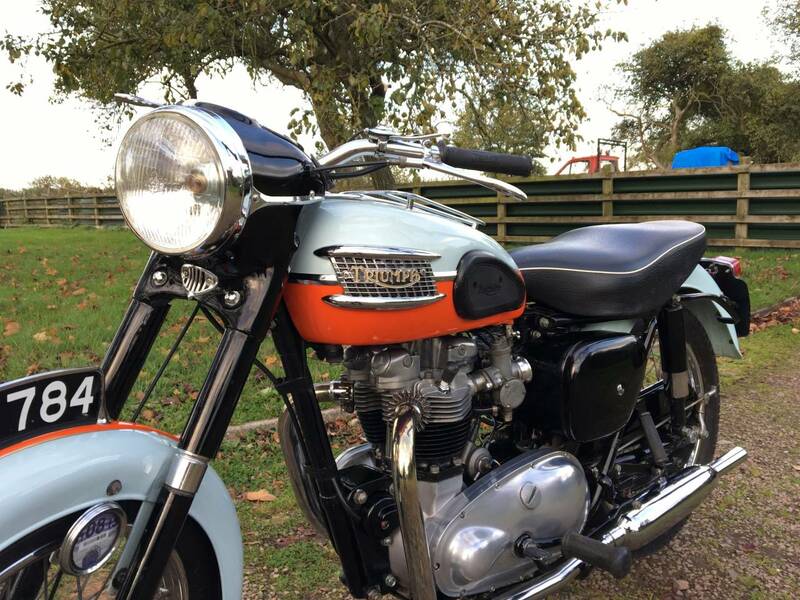 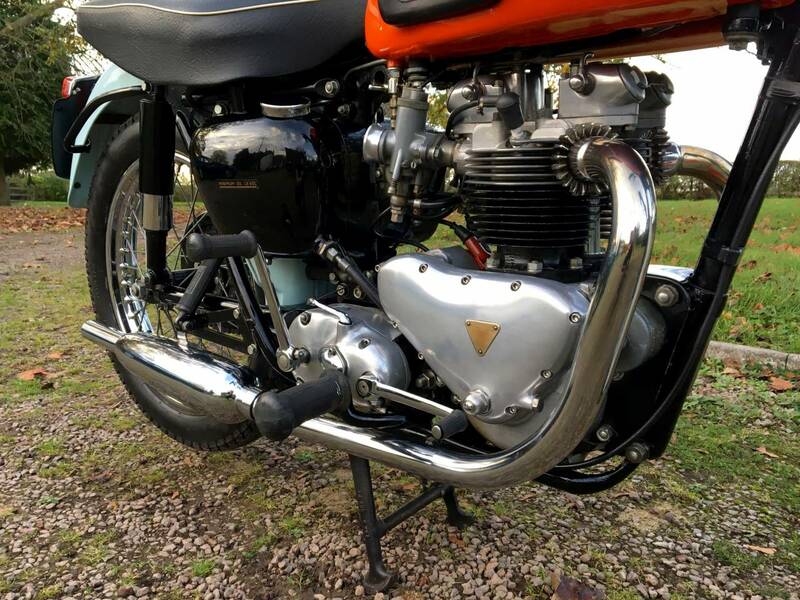 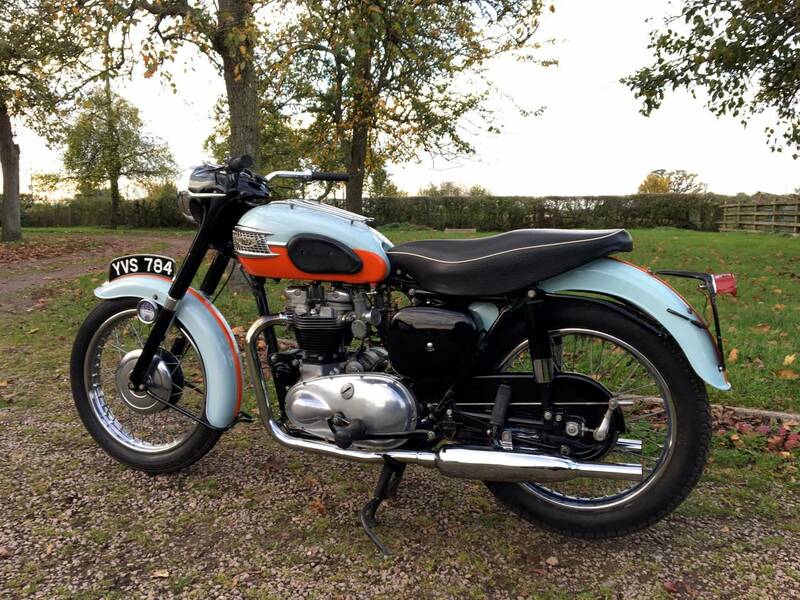 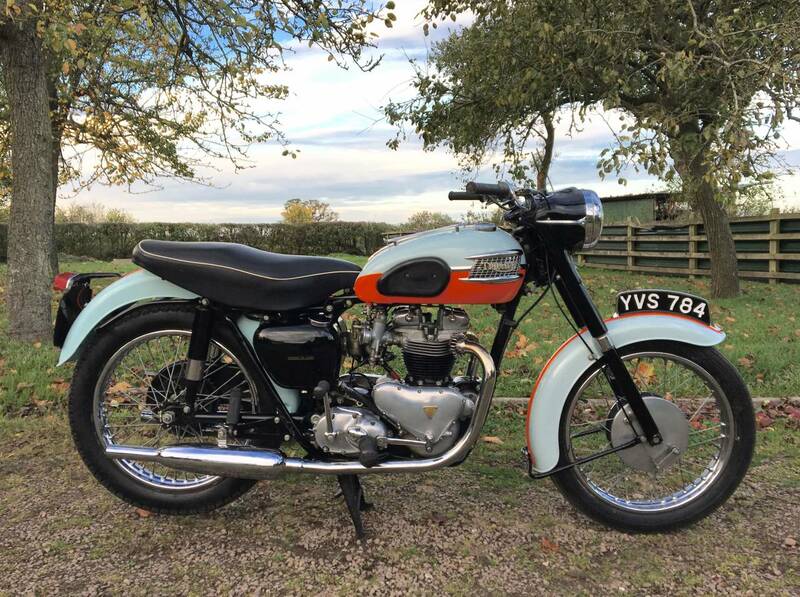 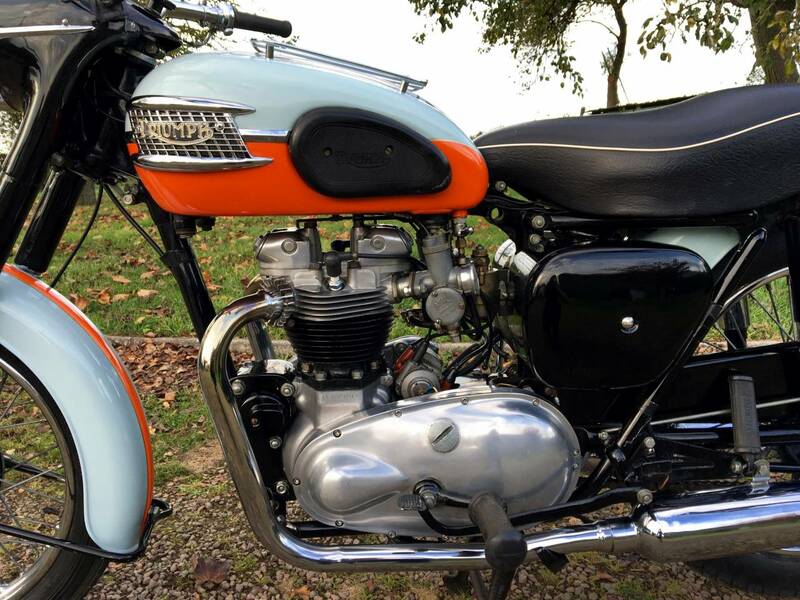 Triumph T120 1958 "Tangerine Dream " Bonneville 650cc . 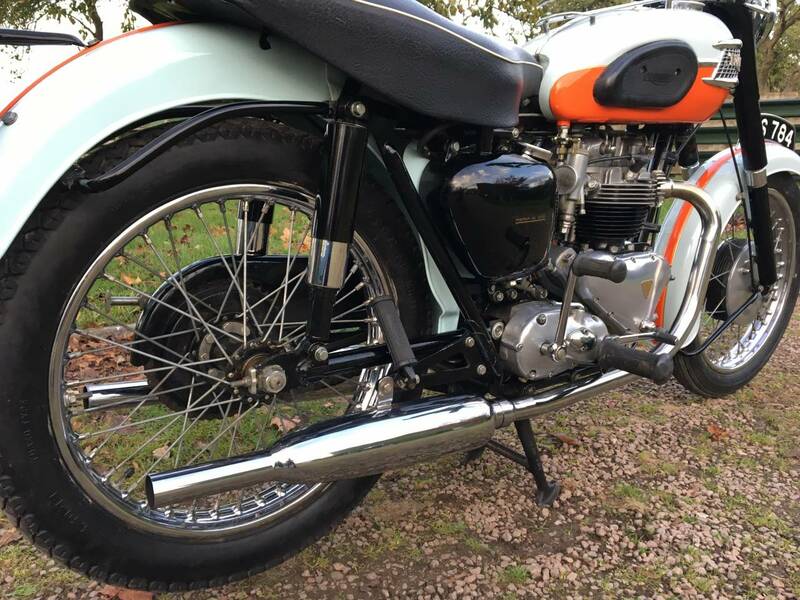 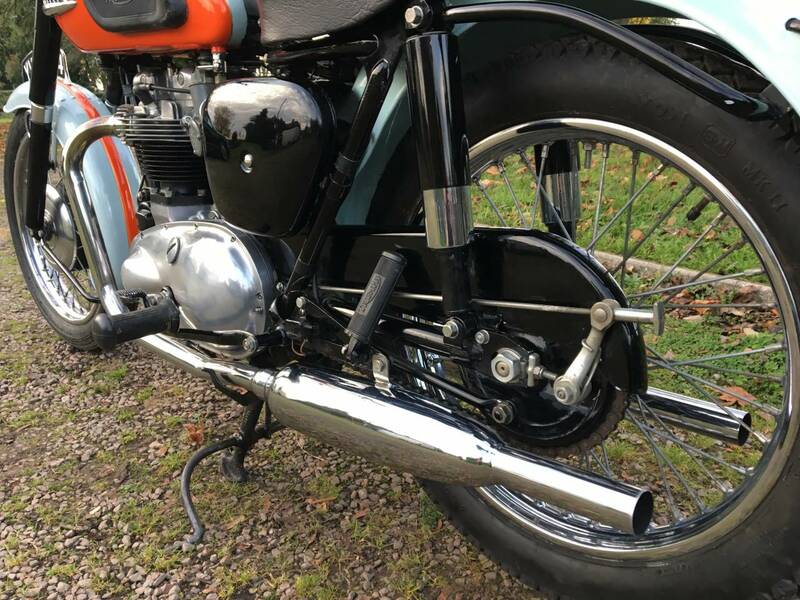 Manufactured On The 9th Of September 1958 ; So Within The First Month Of Production And Probably Within The First 50 Bonnies Ever Made , So Ultra Early And Rare! 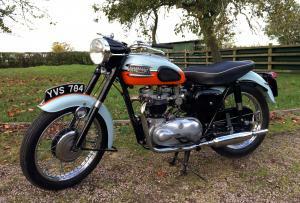 Then Registered In 1959 , When Sold. 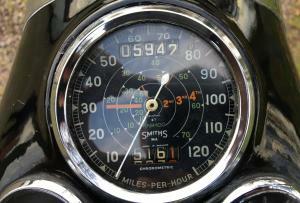 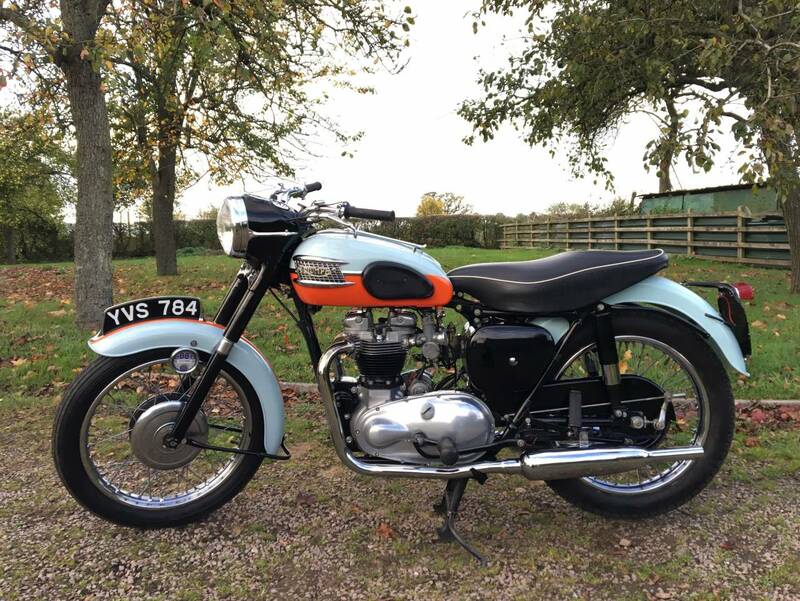 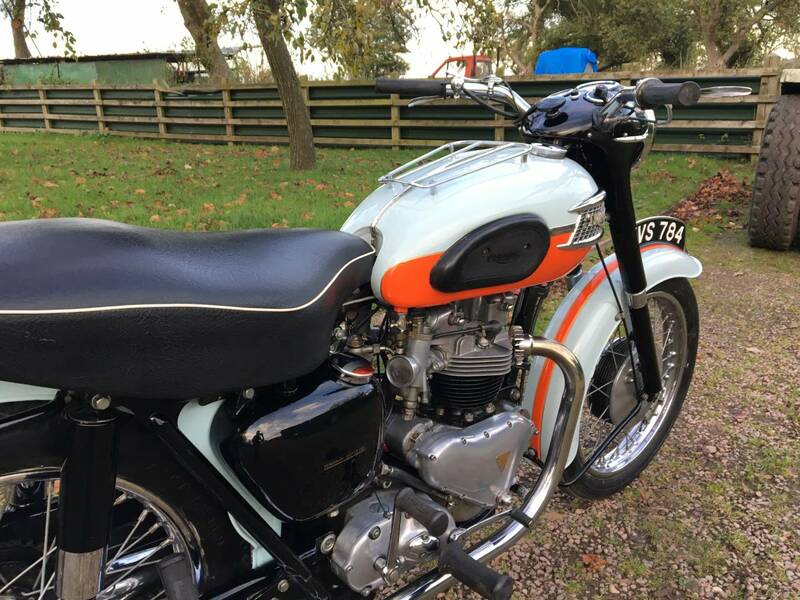 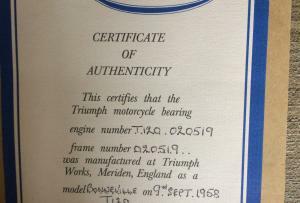 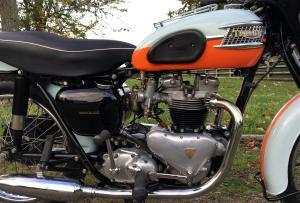 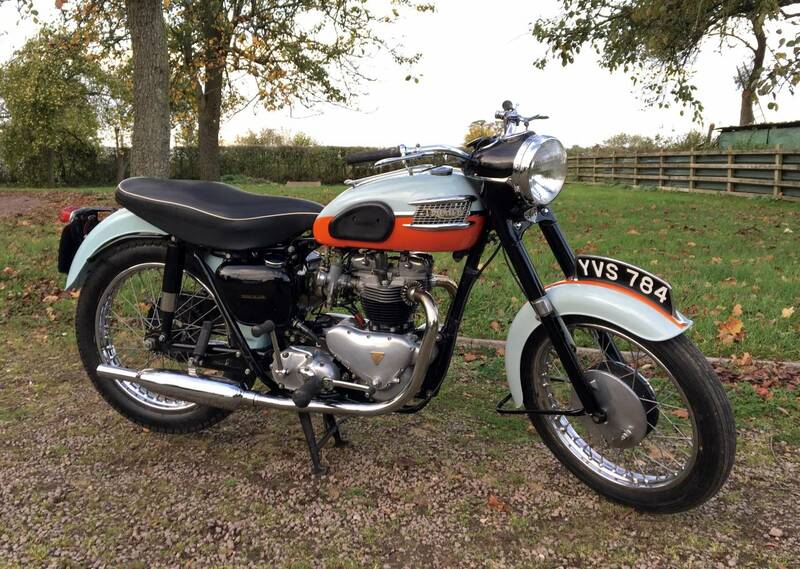 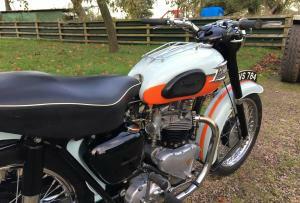 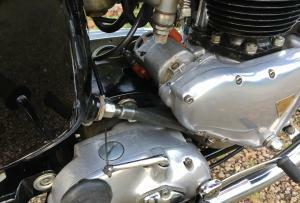 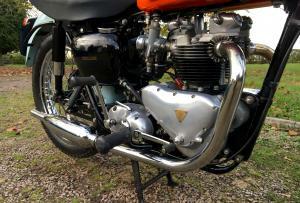 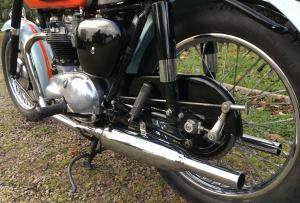 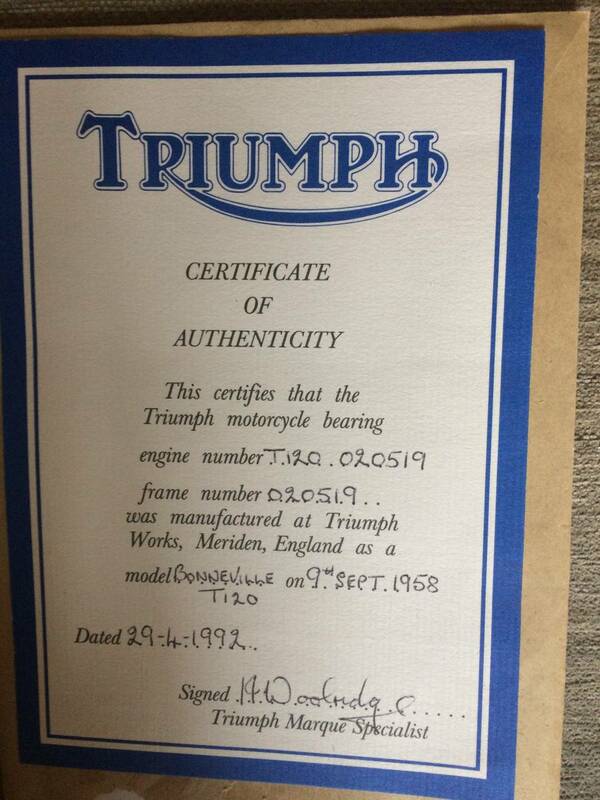 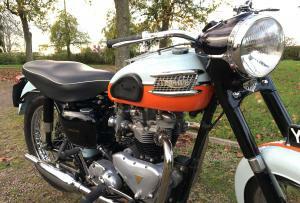 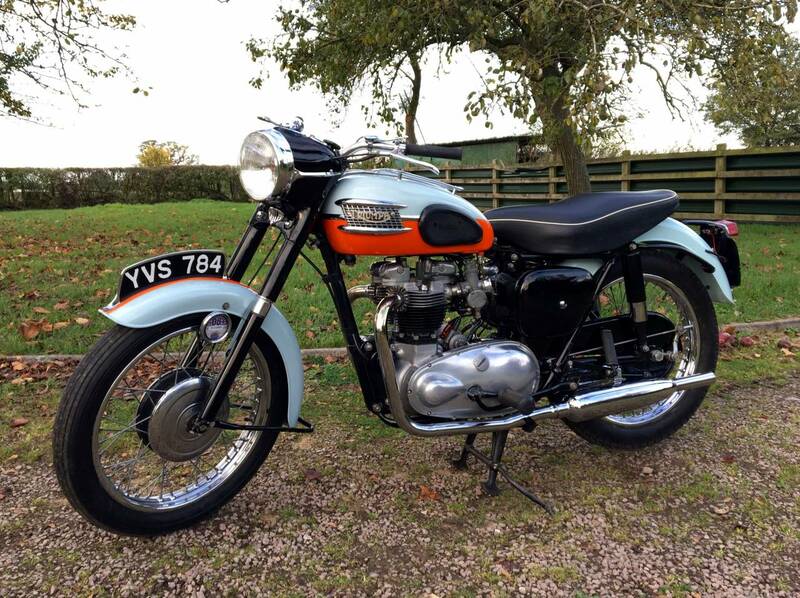 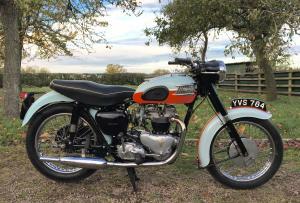 Comes With Matching Numbers And Triumph Owners Club Certificate Of Authenticity Confirming The Above. 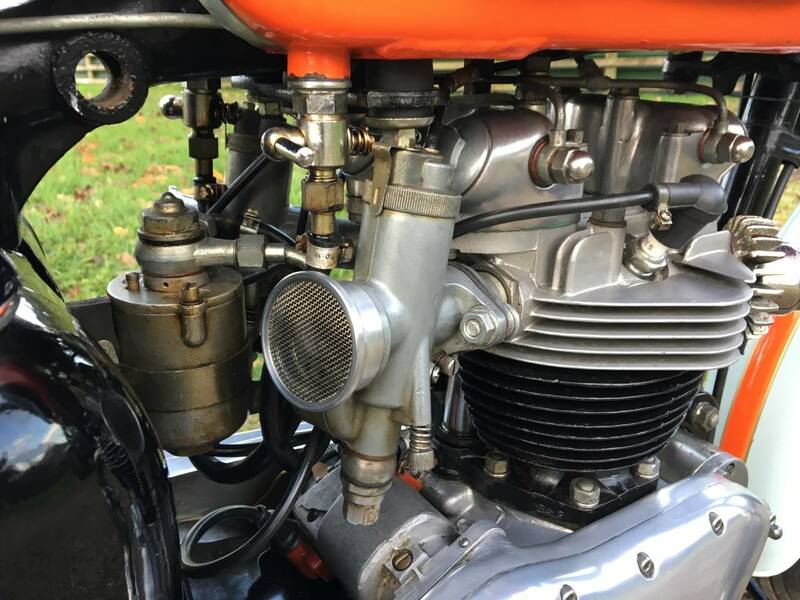 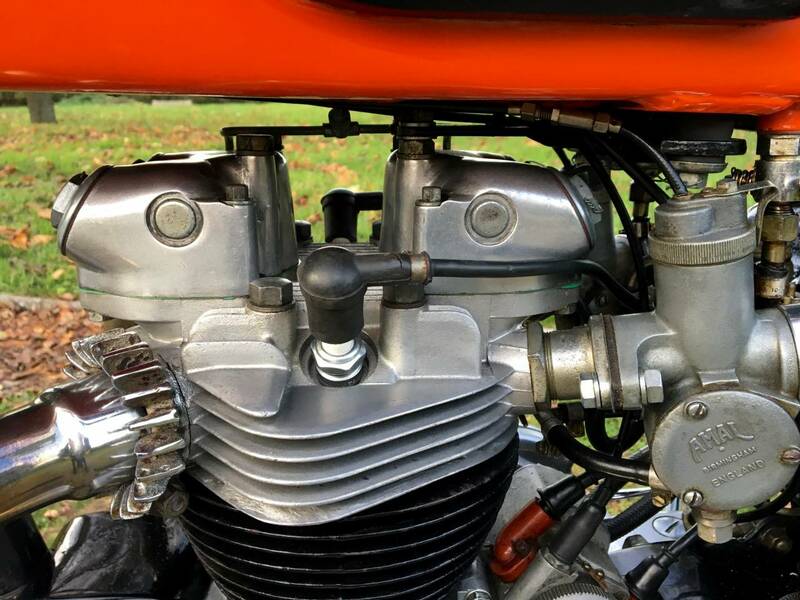 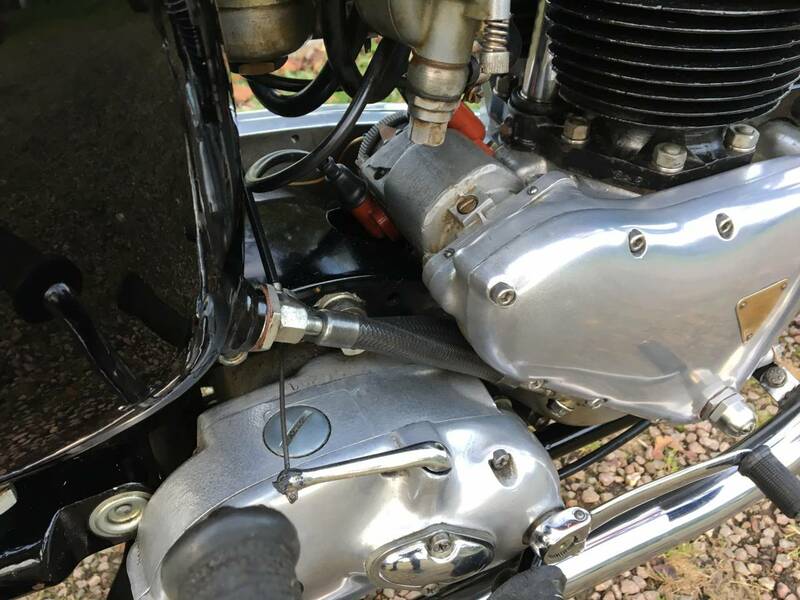 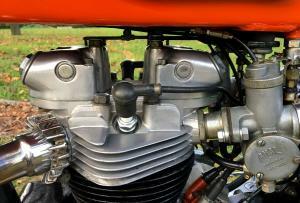 Restored Several Years Ago To Original Specification , With The Twin Amal Carbs And Remote Float Chamber , As Fitted To The 1958 Models , Before The Later Ones , With Their Own Float Bowls . 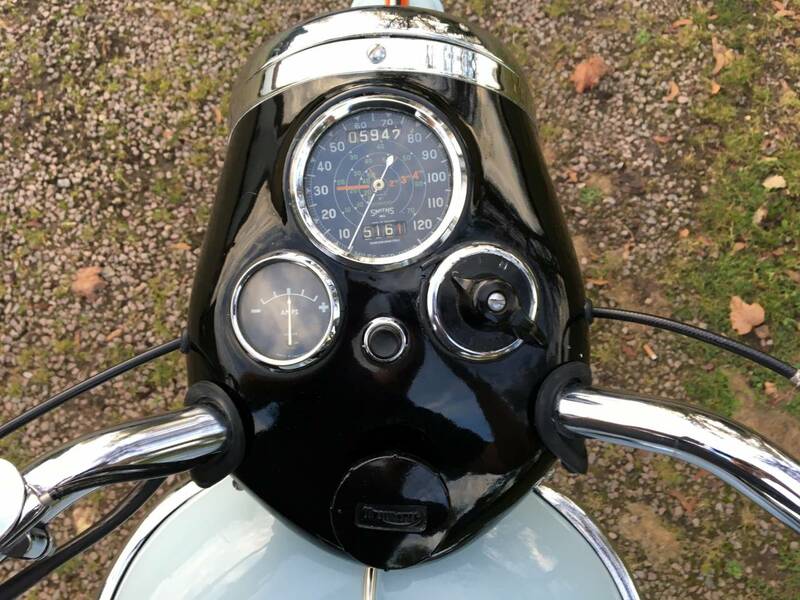 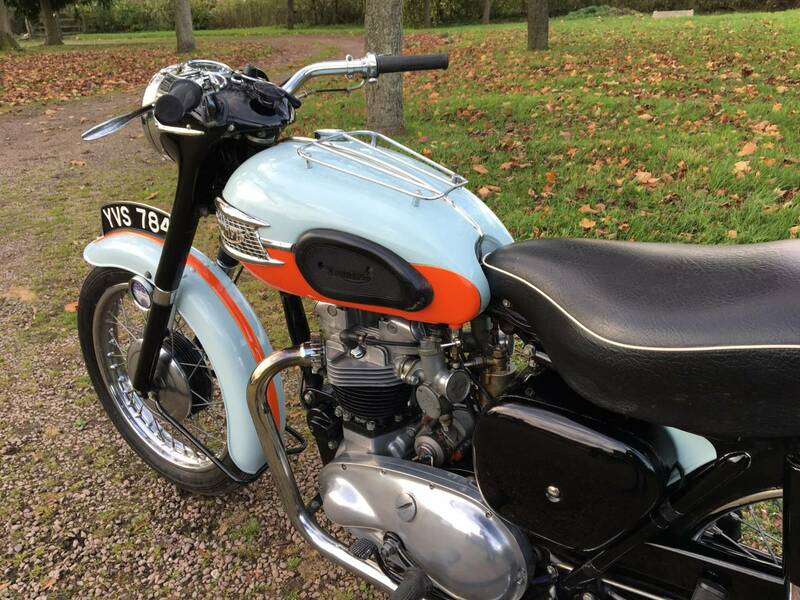 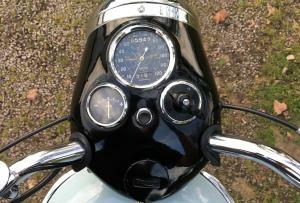 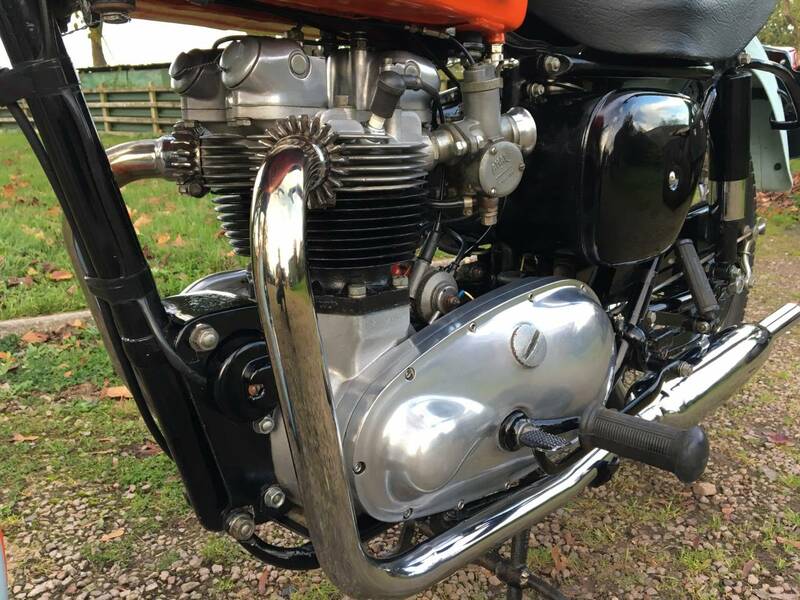 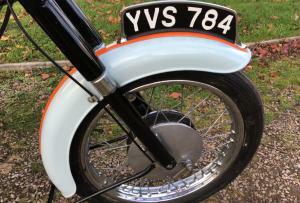 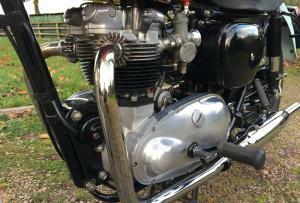 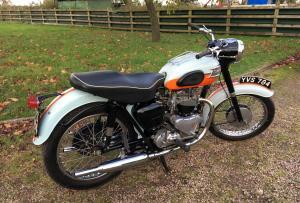 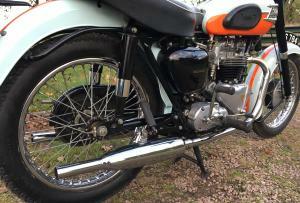 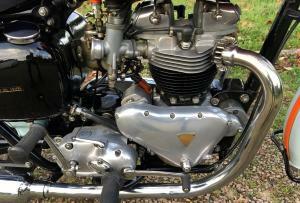 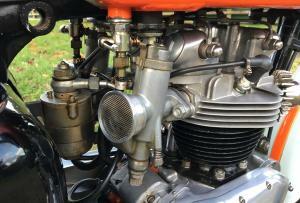 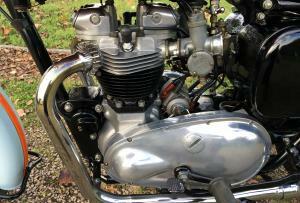 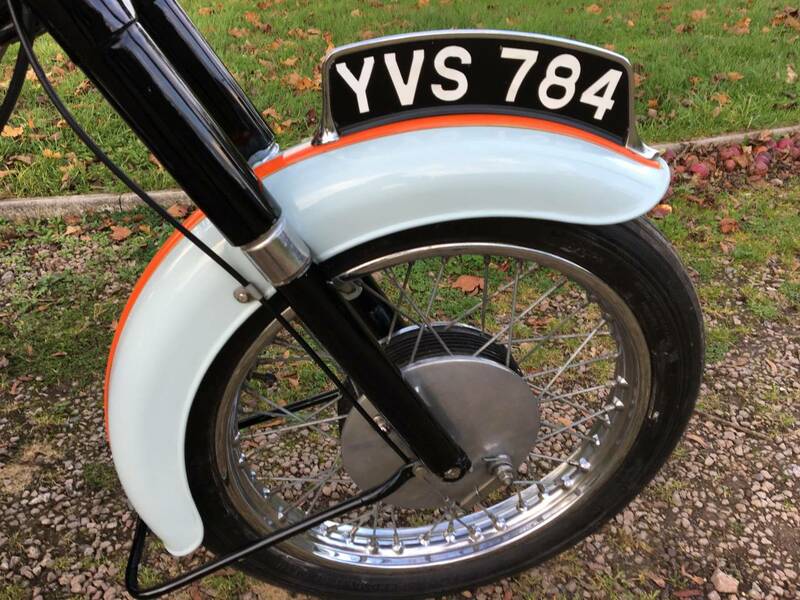 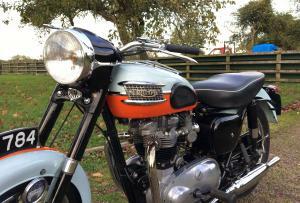 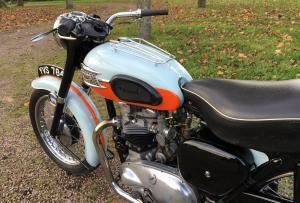 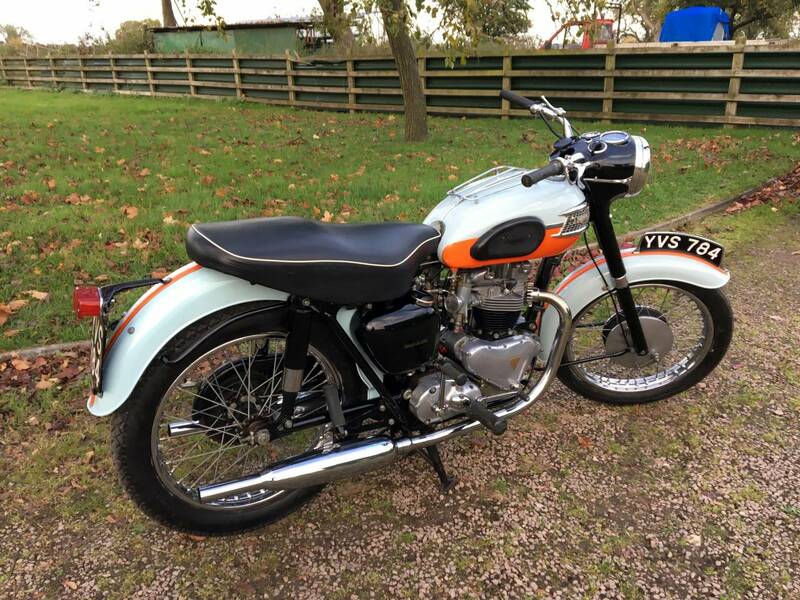 In Lovely Condition And Is Easy To Start And Running And Riding Very Well . 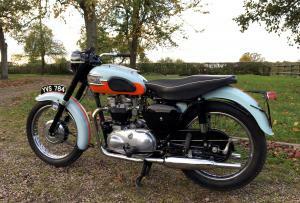 As A 1958 , Is Mot And Tax Exempt . 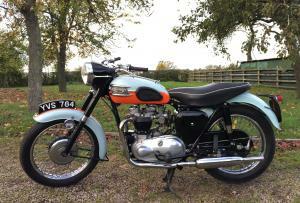 A Lovely Machine , Which Is Still Rapid And Now Rarely For Sale. 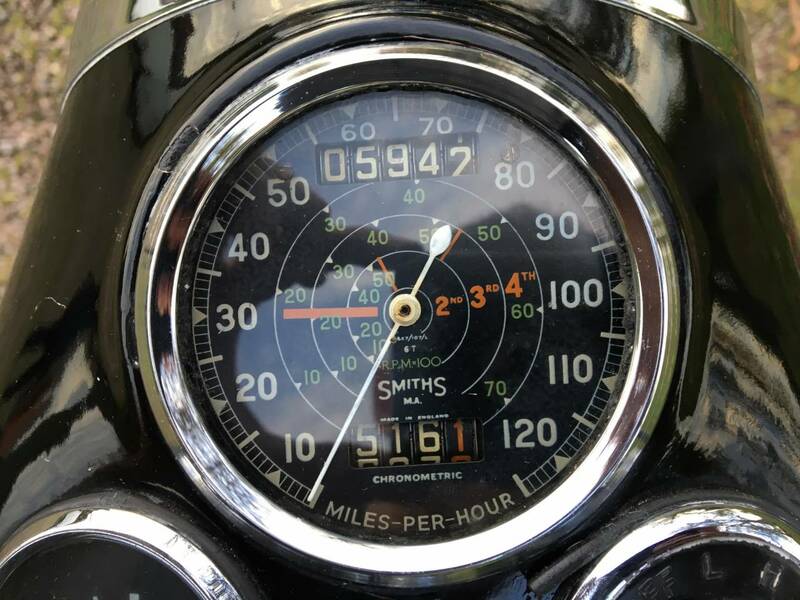 A Great Investment .